The lost tax savings for homeowners who waited too long, were not aware or were just playing ostrich will have potentially cost themselves thousands in lost debt relief tax savings after December 31, 2012. Debt Relief Act Ending Soon! 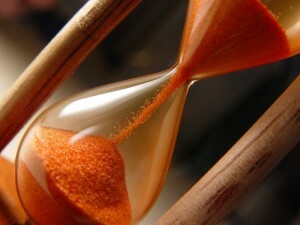 The sand is quickly pouring into the bottom of the Mortgage Forgiveness Debt Relief Act hour glass to forever vanish leaving wanton underwater Sellers no hope of the tax relief currently being offered through this unprecedented debt relief act. 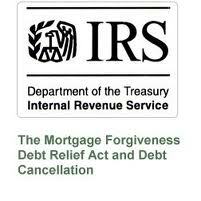 The Mortgage Forgiveness Debt Relief Act of 2007 was enacted on December 20, 2007. Depending on the situation, this would include homeowners who did a short-sale on their home due to a negative equity situation, or now commonly known as being underwater (this is where the value of the home is less than what is owed). If you are a homeowner who is facing imminent foreclosure, is uncertain of whether you owe more on your home than what it is worth or are considering a short sale or loan modification, please fill out the form below and we will be happy to provide you a professional Maximum Value market analysis of your home at no-cost or obligation. This is important to you as a first step in determining what your best option is between foreclosure, bankruptcy, doing a short sale or considering a loan modification. Know your options on debt relief let us help educate you. I have a national network of experienced agents I work with across the United States, so whether you’re in Florida, New York or Arizona, we want to help you get educated about your options regarding the Mortgage Forgiveness Debt Relief Act before it is too late. Please fill out the form below and we will get you the information you need to know your options – we truly do want to help. Please don’t get caught missing out on the debt relief tax savings you deserve by delaying too long to make the decision to get out or take action. The Debt Relief Act is Ending Soon!